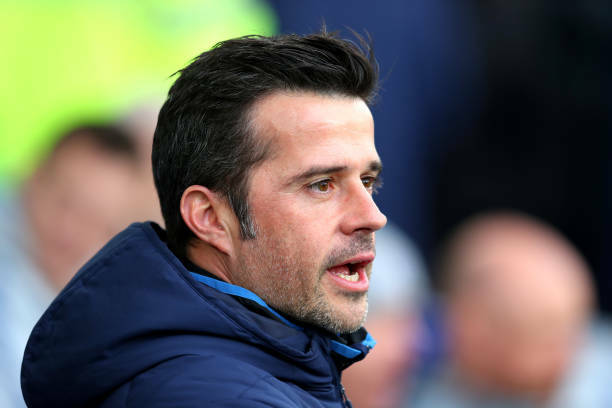 Marco Silva has highlighted one key trait he believes has held his side back this season. Everton have suffered an inconsistent campaign up until this stage, at one point finding themselves as high as sixth in the Premier League table before slipping down to the 11th place they currently occupy. The Blues will be looking to continue a recent upturn in form, however, with a visit to the London Stadium to face West Ham on Saturday evening. Silva's side have gained seven points from their previous four matches, but the manager knows they could and should have got even more. And the boss believes that his team's lack of mental strength throughout this term has been holding them back from securing more points. "It’s important to know as much as I can about the players," Silva told the Telegraph. "Sometimes the problems in their minds are not just what happens here, what we can control here, it’s something more. "If you can know the important things in their life it can help your relationship with them. You can understand them more on the pitch. "Football is not just about physical, technical, tactical. It’s mental, really. Today in football that’s what makes the difference; it can make the difference in our dressing room. "I don’t have doubts that if we were stronger here (touches his head) we will have achieved better results." Everton's inconsistent form this season has meant the Blues have suffered 13 losses in the Premier League already with seven matches still left to play - with two early exits from both cup competitions to boot. However, the manager doesn't like to use the word "defeat". "I hate it [losing]. I hate it," Silva added. "When you have prepared the team well and they cannot achieve what you want, I hate that moment. "But it’s not a word [defeat] that I use with my players; I don’t like it.